How your customers view your business is vitally important. If your telephones aren’t answered when calls come through, your business will suffer a poor or negative reputation. Do you run your own business, but don’t have permanent reception staff to handle your office admin tasks, such as answering phones and dealing with clients? If you want to keep your running costs down while still having a professional image to present to your customers and the market, a telephone answering service is what you need. A professional answering service will ensure that all of your telephone calls are managed by trained and experienced personnel who will do more than just answer the phones. What’s more is that an answering service will cost you much less in the long run than hiring full-time staff members to manage your reception duties. At Thetha Connect, we offer such a telephone answering service. We have a call centre of professional consultants who will answer your business calls for you, record messages and also provide your customers with information on the business, and your products and services. They can also provide directions to the business and help with appointment bookings and confirmations. With the use of our trained consultants there will be no need for you to hire permanent staff members to man your phones. With our track record and reputation on the market, you can rest assured that your business and its incoming calls will be in good hands. Hiring an answering service does not need to be complicated, especially if you do so through Thetha Connect. How does our telephone answering service work? The first step is to register with us for our service. We will then assign you with a number that is dedicated to your business alone. This means that our consultants will be able to manage a number that is for your business alone. Messages taken for you regarding calls and communication with clients will be sent on to you via email, SMS or similar. Simply let us know which form of communication you would prefer. This means that you can get back to your clients in real time. What sets us apart from other telephone answering service providers is our passion for what we do. Each of our telephone consultants is well versed in the industry, and has a polite and clear telephone manner. Each and every customer will be dealt with professionally and in a manner that reflects positively on your business at all times. Your customers won’t even know that they are dealing with an external answering service. 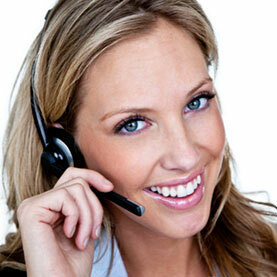 If you are shopping around for a telephone answering service, waste no more time. We have just what you are looking for, and more, at Thetha Connect. Take the time to get in touch with us to discuss your various needs and requirements at a time that is convenient to you. Contact us via email or telephone today.